A very informative and Interactive workshop. The trainer provided many valuable practical experiences and suggestions. Hence CSD technical track training in Singapore is rewarding, and you can also join the course at an online academy while enjoying flexible timings. What is the course all about? CSD technical track certification in Singapore is towards the knowledge and skills related to the Scrum principles and the Agile engineering and management skills. Project managers can attain the certification and manage the projects with lower costs, lesser errors while producing better production figures. The course enables professionals incorporate just-in-time development thus avoiding the scenario of multiple iterations. The CSD technical track certification online in Singapore that is for 5 days can land you in a high-paying job. Benefits of this course The CSD technical track certification cost is quite low, and the course spans over a time period of 5 days only. The first 2 days focus on aspects like Scrum development and its roles and principles. 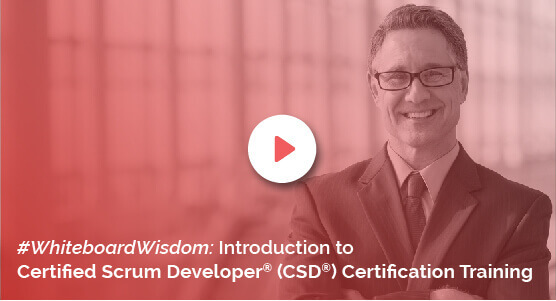 If you have the CSM certification, you can straight away start the training at day 3 and join the second part of the course that goes on for a period of 3 days. Here the focus is towards code samples and actual design, among other related topics and concepts. The KnowledgeHut Way KnowledgeHut is an authorized and recognized provider of CSD technical track training online in Singapore. Supported by lectures, one-to-one tutors and online practice sessions, coaching imparted by certified trainers makes this course stand out from the rest. Enroll to this course now to get exceptional skills and a hefty pay cheque, in only 5 days.